As lovely and romantic as organic gardening can be it can also be really tough. A huge struggle for many organic gardeners is dealing with pests in an efficient and economical way without the use of pesticides or rodenticides. 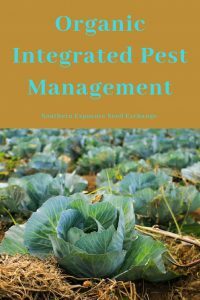 Developing an organic integrated pest management system or IPM can help. The first step is to monitor your garden and identify any pest issues. Record any problems in a garden journal and be as specific as possible. Research the type of pests you’re seeing and their life cycles. Are they cabbage worms or cabbage loopers attacking your broccoli plants? Also record dates and conditions when they attack your garden. Do aphids destroy your fall crop of lettuce or do the only impact your spring sowings? The more you learn about these pests the easier it is to prevent them. You should also consider at this time if the pests are actually a problem. Having to pick off a few tomato hornworms may not be worth putting major preventative measures in place if they’re not actually affecting the productivity in your garden and are otherwise easily managed. This is the most important part of an IPM. Once you’ve gathered information you can put preventative measures in place. Knowing a pest’s habitat and life cycle can be key. Examples of of preventative measures include planting a crop late or early to avoid a major pest season (ex. planting quick maturing cabbage early when it’s too cold for cabbage moths), attracting certain bird species to keep pest populations in check, encouraging or purchasing native predatory insect species (ex. ladybugs can be purchased online and are excellent at reducing aphid populations), growing pest resistant varieties, or using row cover over your most vulnerable crops. Sometimes you’ll need to employ a combination of these strategies. Often a well planned preventative strategy can keep your garden productive without a lot of additional work. In severe situations where pest prevention has been ineffective control measures are used as a last resort. These controls may be very effective against pests however they’re typically costly in other ways. Some, like handpicking can be very time consuming while others may actually be pricey for the small gardener like neem oil. Even though they aren’t as problematic as chemical pesticides they also may have unintentional environmental impacts despite the fact that they’re organic. 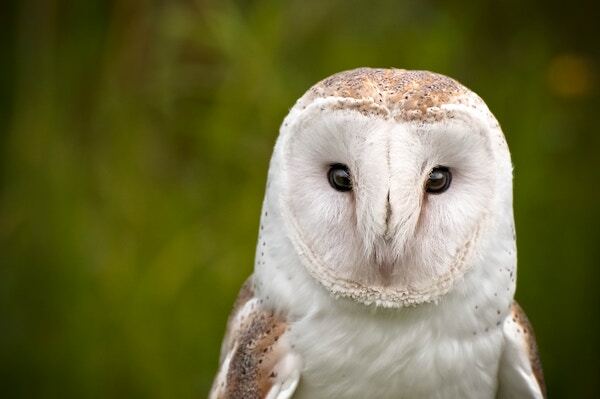 Organic pesticides like neem oil, diatomaceous earth, or milky spore powder may be implemented with the intention of only harming a single pest species but unfortunately there’s no way to protect the good species. These organic pesticides can still kill beneficial insects like butterflies, bees, parasitic wasps, predatory beetles, and more. 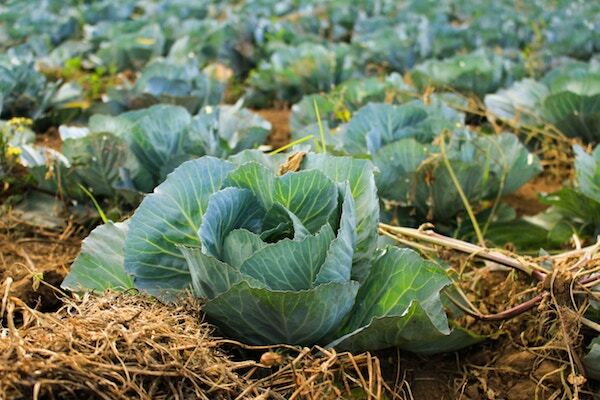 Using integrated pest management can help you successfully maintain an organic garden. While no strategy is perfect, researching and recording your specific pest problems and then implementing preventative strategies can be effective.